← Could It Be … Satan? So the theory is, if it happened once in the past, in one place, if it happens again, it must be for the same reason and therefore there has been no change in conditions, no change in pattern of occurence and what applies one place applies to all of them? ZERO REASON to INVENT anything but NATURAL occurrences. Do you have one tiny bit of real evidence of humans changing the global climate, griff-LAIR?. Why do you continue to be a NIL-EDUCATED CLIMATE CHANGE DENIER, little griff-LIAR. TOTAL and UTTER BS.. you are DELIBERATELY LYING yet again..
… or VERY IGNORANT.. or most likely both. STOP DENYING CLIMATE CHANGE, little LIAR. Now.. did you get the attention you DESPERATELY SEEK, and cannot get from anywhere else in your pathetic life ?? Any attention will do.. right little griff. In geology we call it Uniformitarianism. It was controversial when postulated, as the prevailing theory had been that of Catastrophism, which is much like the CAGW nonsense that religious zealots today preach. Catastrophism took such a pounding from the advances in hard science, that today nobody mentions it or Uniformitarianism, as there is no longer any debate. Apparently the supporters of Catastrophism were not well funded, and bore no hatred towards poor brown people. There is no “theory”. The facts are that weather related disasters have happened in the past and they are happening now or about to and will happen again in the future and that there is absolutely no evidence any fluctuations in the numbers or severity of given events (floods, droughts, wildfires, storms, etc) with the exception of ever increasing property damage figures due to development in storm prone areas, having anything to do with what humans do or do not do. This is why alarmists are so desperate to frame the strength of hurricanes based on the estimated financial impact instead of the traditional Saffir-Simpson scale. Yet at the same time ignoring the fact that the same advances in remote sensing, forecasting, and communications have resulted in death tolls related to such disasters plummeting. 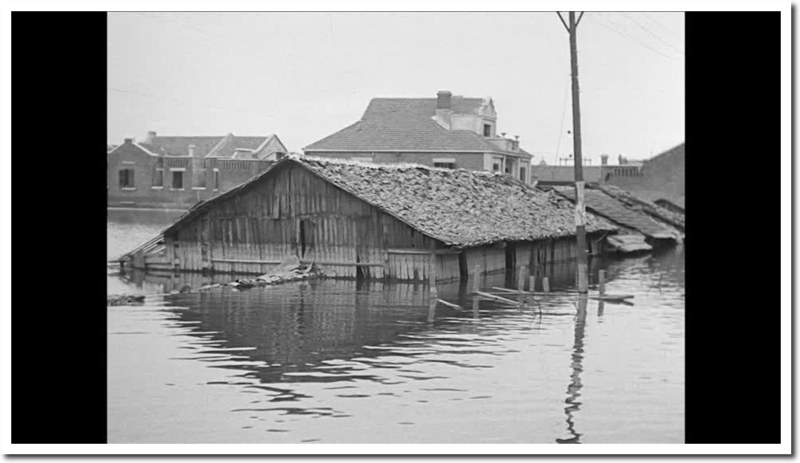 The floods of the 1930s were the worst in the historical record. But that modern record is a nanosecond in comparison to the over all time scale and even information from the 1950s is quite sparse compared to what we have now. Thus the various data bases that claim natural or weather disasters are increasing are skewed just as the hurricane and tornado counts are skewed simply because far more are known and reported now in detail than they were even 50 years ago. This ever increasing ability to detect and quantify storms makes the exceptionally low tornado counts we have seen in the US the last five years quite astounding. Not only have the counts been well below the mean, the severity of those storms recorded is also way down with tornadoes of EF-3 strength or higher being of a far lower proportion than indicated in the historic records and EF-0 and EF-1s making up almost all of the total count. We are about to witness again the alarmists pumping out their unsubstantiated BS. Michael is going to come ashore along the Florida panhandle in the vicinity of Panama City as a strengthening major hurricane. It appears at this time that the east side of the storm where the storm surge will be very high will hit along the coastal region east of Apalachicola where the configuration of the coast will enhance the severity of the surge. Then the storm will track inland over the Carolinas where they are just starting to recover from Florence and that area will have already had drenching rains from an upper level disturbance that will hit a day or two before Michael arrives. Those poor people are in for a one two punch. And the news will broadcast that is all worse because of “climate change” without a lick of proof and despite the fact that six weeks ago some of the best forecasters started saying that there was a high potential for late season development in the western Caribbean that would impact the Gulf coast. From a practical perspective, dams were subsequently built for flood control (and power generation) to help prevent similar disasters. Up stream of Hankow (now part of Wuhan) is the Three Gorges Dam. On the other side of that coin was the near total failure of the Levee system for the area of New Orleans under the onslaught of Katrina. Such systems can give residents a false sense of security. If Tony Heller posted a picture of his thumb under the headline “My Thumb” you would complain that he didn’t post the date and time of the picture, say that it’s no proof he has any thumbs, and even if he had them once, he doesn’t have them anymore, and there is less Arctic sea ice than in 1979. The only theory reasonable observers can derive from your behavior is that you are a manic obsessive who stays up day and night waiting anxiously for Tony to release a blog post and be the first to announce that the Arctic sea ice is gone. You must tell your psychiatrist that you stopped taking your meds again. The Arctic is a forbidding, frozen place and you would not like it there. The world is not coming to an end. I suggest that you change your Depends more frequently and try to think of something else than the Arctic. He’s well known as the world’s leading thumbless wildlife photographer! Griff – it is called weather. Now run along and answer my question: Show us a study which MEASURES the amount of warming caused by CO2. Temperatures have been steadily running in the teens throughout the Canadian Arctic. How could there possibly be no refreezing with those temperatures? Sounds like some highly delusional alarmists putting out fake data. What else is new? The only relevant theory* pertaining to this is CAGW, i.e. yours. There is no onus on sceptics to produce theories as we already have an ideal null hypothesis (nothing particularly special happening now compared with the last 10 millenia). * Theory is the wrong word here. Asserting that CO2 causes climate change then patching it up with countless sticking plasters every time it fails does not qualify as a theory. Hell! Human caused climate change, as presented by the IPCC is a failed hypothesis that never reached the level of a theory. We do know that the Arctic has only been gaining ice since we started agriculture and building cities. May just be a coincidence. The latest UAH satellite temps have us at the same temperature in 1988, about 0.14 C above the “average”. Also in 1988, Dr Hansen of NASA testified to the Senate: “If the current pace of the buildup of these gases continues, the effect is likely to be a warming of 3 to 9 degrees Fahrenheit from the year 2025 to 2050, according to these projections.” All kinds of bad things were supposed to happen because of this. None did. I guess that there is always hope we will see some warming, any warming in the next seven years, because there has been zero for the last 30. 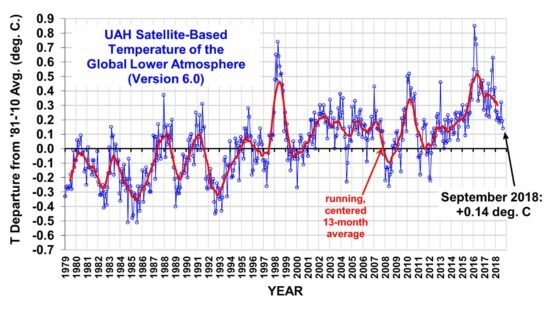 So the theory is, it was the same temperature globally in 1988 as it is now, and since it happened before it is the same as it ever was. That is about it…the world has lost it’s mind over a planet that is dramatically cooler than 100 years ago and only slightly warmer than the end of the last cold cycle. It’s like the Easter Island statues. Nobody really knows how they got there, but a civilization apparently sacrificed itself for their creation…like we’re gone but check out the useless assets we produced instead of feeding and sheltering ourselves! JAXA extent data, as relevant as a fart in a sewage works, talk about tunnel vision and cherry fetishes. What was going on in the Arctic during the Viking Empire Griff? oh that’s right, you don’t believe in the Medieval Warm Period do you! Mann waved it away with his magic hockey stick and all the AGW poofters suckle it up like little baby pigs. Griff wants us to return to the stone age like Easter Island, the common people that is, the elite will still be allowed to exhale CO2 tax free of course! Commie filth! The Arctic weather is very unusal at the moment (probably indicitive of the globe cooling substantially), but as I said before, it will self-correct. It means nothing. Weather is random, always unprecedented. As soon as they looked back at photos from the early satellites, they found ice extents outside the known boundaries, and that was just looking at a few extra years! Nut: …as relevant as a fart in a sewage works….. I have spent many hours around wastewater treatment plants, and that’s pretty irrelevant! Yes, Mr Grim N – the temps above 80 degrees are way higher than normal, as if Alaska and the sea ice extent (by any measure) is at second lowest in the record… refreeze at astonishingly low levels. this warmth and absence of refreeze is related to cooling exactly how? Didn’t the Rapa Nui, the same aboriginal people that live there today, carve them? The popular history belief is that at one point there were about 15,000 Rapa Nui on the island at it’s highest. By the time Europeans arrived in 1700s, this had shrunk to 2-3000. 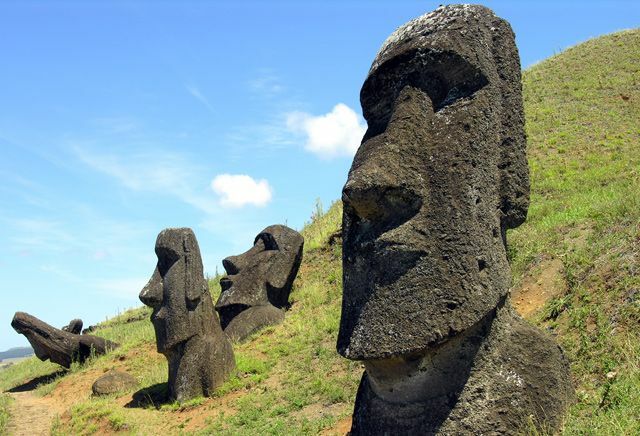 The Rapa Nui suffered from deforestation which in large part was driven by using trees as rollers for the statues (to move them long distances from the quarry where the the statues were carved). The statues were erected on a religious belief to commune with the dead who provided for the living. Deforestation made seaworthy boats impossible to build and eroded topsoil making farming less productive. This some think led to terrific social upheaval including signs of cannibalism etc. The population declined severely before the Europeans arrived, who then caused their own brand of havoc thru diseases and slavery etc., basically preying on a weakened and less developed civilization to some extent. Therefore I think if this is really the history, the Statues make the perfect Global Warming symbol…A society religiously focuses on unproductive assets for a solution to a problem that is not real…ultimately destroying their own environment, weakening their civilization…and today some historians blame their demise ironically on Climate Change…history repeating. Check out this photo, eerily similar to statues among a destroyed habitat. what is posting about an historic flood supposed to be telling me about current climate and/or how the climate is currently changing/not changing? I submit that the argument is ‘it happened once, so it just happens agian’ and that that is NOT a valid argument. Please do clarify if these postings are supposed to make some point re climate science. Why bother? I explained above. You are either dense as a rock or being obtuse, or disingenuous. I don’t care which. It’s called a precedent, Ms Griff. It means modern disasters are not unprecedented, and that the lies you keep telling us are just that, lies. And just why do you hate poor brown people Ms Griff? NOTHING unusual is happening with the climate little griff-worm. The planet is still very much at a cooler period of the current interglacial. You have ZERO evidence and ZERO valid arguments about anything. You are just a mouth with an empty void behind it. Totally incapable learning ANYTHING that was not part of your total brain-hosing. Griff: Show us a study which MEASURES the amount of warming caused by CO2. It is not as if there isn’t masses of science based evidence for it! The consensus climate sensitivity range has not been refined (narrowed) since FAR in 1990. All those billions of dollars and the alleged finest minds have not brought us any better closer to that holy grail of CO2 climate science. And I again remind you that you never seem to decry the worst excesses of alarmist climate scientists. Instead, you devote all your efforts in attempts to score minor points on Tony over climate minutia. In fewer words: No, she can’t, this Ms Griff. Ms Griff, there is nothing “genuine” about your question. Will you ever stop lying and obfuscating? The documented history of severe weather events doesn’t show that “it happened once”. It shows that they happened again and again. It shows that there is nothing unprecedented about current events. It shows that you are a dishonest hack. Collect your red herrings and stuff them where the sun don’t shine. And we call ourselves sophisticated compared to ancient cultures and the “Third World”. 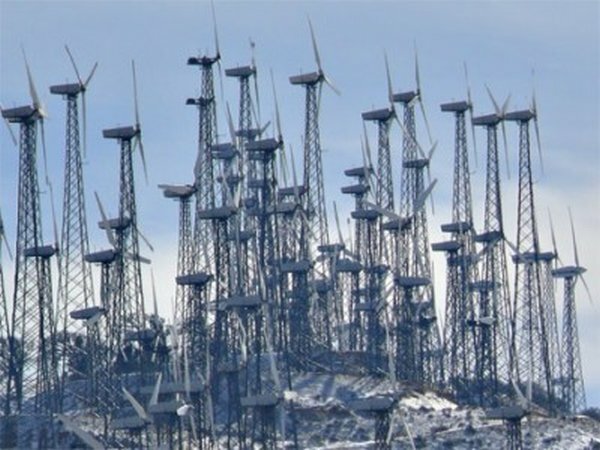 wind farms in Europe are dismantled at the end of their 25 year life… condition of permission to build in the first place. Yet another reason not to build them in the first place. 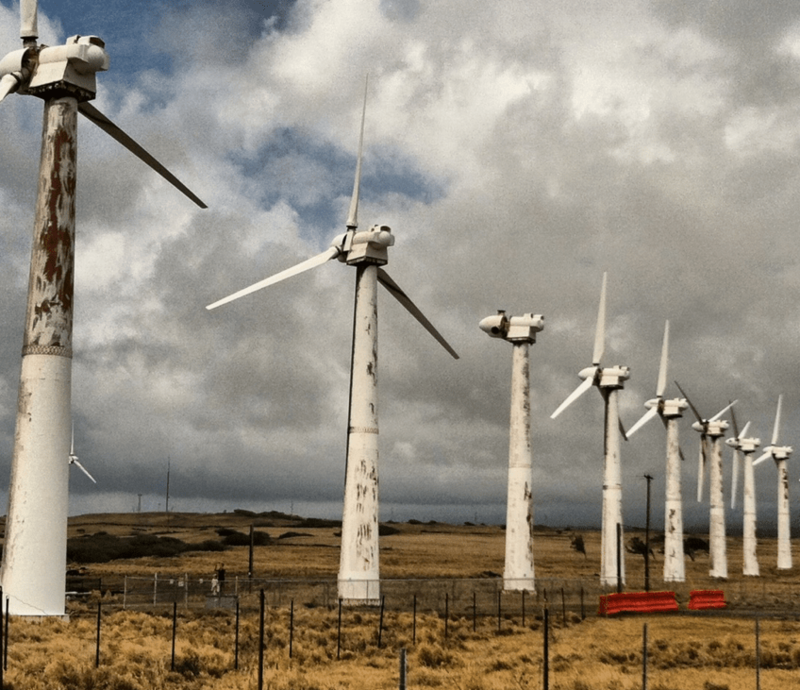 “We don’t know with certainty the life spans of current turbines,” said Lisa Linowes, executive director of WindAction Group, a nonprofit which studies landowner rights and the impact of the wind energy industry. Its funding, according to its website, comes from environmentalists, energy experts and public donations and not the fossil fuel industry. 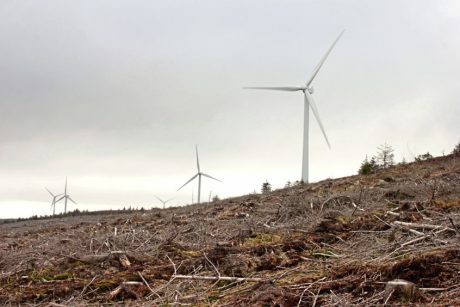 “So we’re coming in on 10 years of life and we’re seeing blades need to be replaced, cells need to be replaced, so it’s unlikely they’re going to get 20 years out of these turbines,” she said. If western Progressives succeed in destroying our civilization, it is quite possible that some future researchers will find these statues and speculate why we built them right before we disappeared. oh – the rusting wind turbine thing? Griff you’re just like the neighborhood cat, visiting the garden to deposit its daily turds and nonchalantly wandering off, you never answer any questions here, you just deposit your daily global warming fairy dust and slink off. To Griff this is a sight of pure tranquility and beauty. It represents Mans’ control and harnessing of the climate, the epitome of harmonious Human power over the planet and his environment. Griff you’re a dreamer if you think it’s just a 25 year lifespan that brings down these monstrous phallic symbols to mans’ folly….come in spinner and wake up. 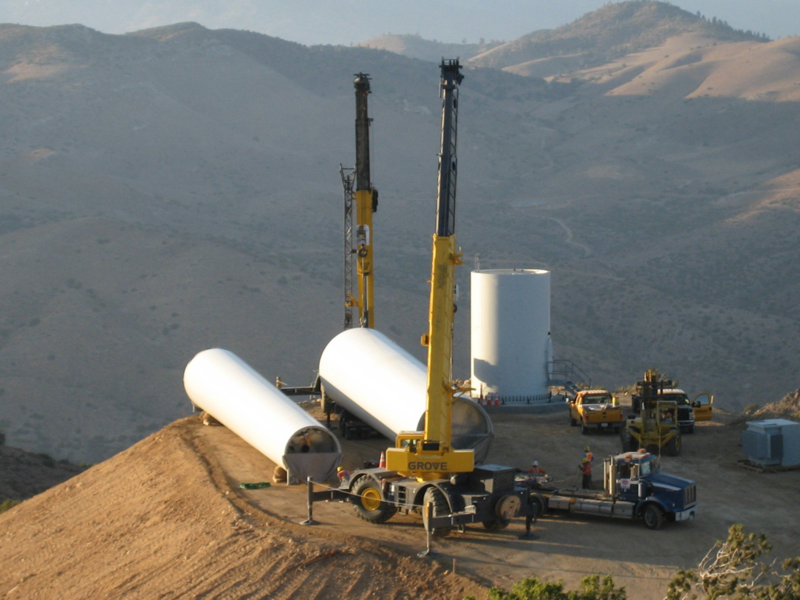 Nobody has built wind turbines like that since the 1980s. More lies from Griff et al, the poor brown people haters. Another cherry pick from Ms Griff, and yet a cherry whose lifespan cost did not include the actual cost of dismantling. What a marvelous idea! Create an eco-unfriendly and unsightly substandard power generation that requires coal backup, use it for a short time, and then spend a small fortune removing it. No wonder you lefties always fail at governance. 10-20 life span, and replacing them with cost MORE in subsidies than building them in the first place. Many of those that swilled off the subsidy trough will have disappeared , leaving the tax payer to pick up the bill. But griff doesn’t care, he is a tax-TAKER, not a tax-payer. The government will continue to support his mental disability, provide him with a basement room and allow him a hour or so of trolling each evening so he can go to bed feeling he has achieved something. .